This whitepaper defines care coordination, examines the need for well- coordinated care, and explores the benefits of centralized care coordination. Common elements of care coordination programs are also identified, as well as best practices for improving patient outcomes and reducing the cost of care. Work at the top of their credentials. Physicians have more quality time to care for patients, since patient care coordinators (PCCs) can directly handle or facilitate with the physician’s care team a wide range of patient care tasks. Improve utilization management. Care coordination allows physicians and other care team members to focus on proactive care, rather than react to expensive acute care episodes. Engage patients in their own care. As extensions of the physician and his/her care team, PCCs can stay closely connected to patients. Regular communications help engage patients and focus their attention on preventative actions. Enter into value-based contracts with greater confidence. Most value-based models require providers to demonstrate ongoing quality improvement, patient satisfaction and lower overall cost of care – rigorous but achievable goals with a strong care coordination structure. 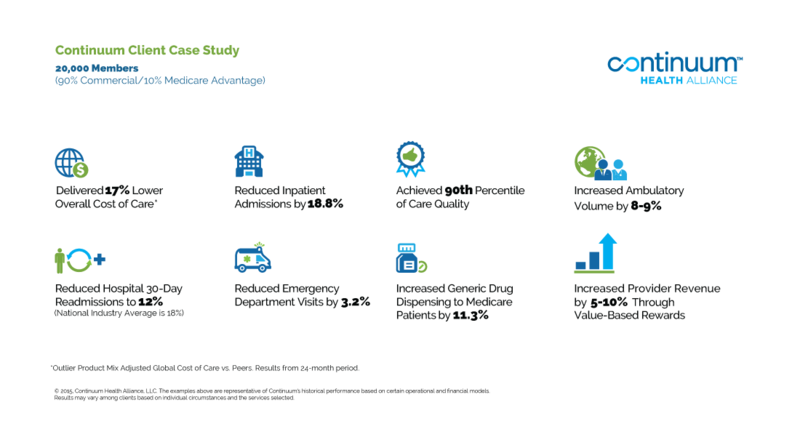 Over its long history, Continuum has refined its model and incorporated numerous best practices for achieving better patient outcomes and improved operational efficiencies. When the concept of care coordination first emerged, practices typically delegated the care coordination function to their internal staff. However, this approach proved too costly for many practices, particularly those that still relied on traditional fee-for- service payment models that didn’t offer reimbursement for care management services. In addition, many practices had difficulty finding individuals with the required education and credentials to handle the multiple tasks of care coordination. Continuum discovered that practices could achieve better results and save money if the care coordination function was centralized and services/costs were shared among multiple practices. 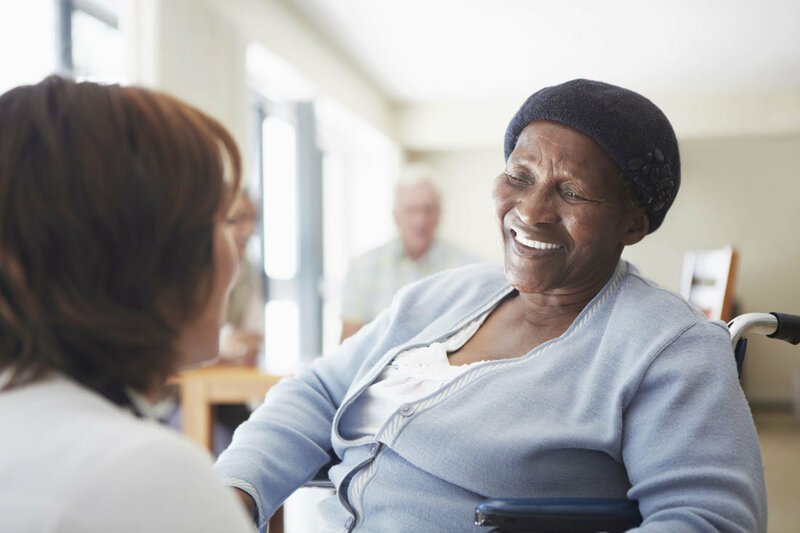 Continuum’s Centralized Care Coordination team includes registered nurses acting as patient care coordinators (PCCs), a social worker, and experienced support staff. Each PCC is assigned 150 to 200 active patients, which is a small enough population to ensure that each patient receives a high level of care and attention. The Continuum team serves as an adjunct of the practice and each patient is matched with a specific PCC to oversee their care. The number of PCCs per practice varies depending on the practice size, the number of patients requiring care coordination services, and the requirements of any shared savings programs. Commercial payors, for example, typically require one PCC per 5,000 patients, while Medicare requires one per 2,500 patients. The Continuum team works closely with the practice to ensure patients’ needs are addressed efficiently and effectively. For example, PCCs can connect directly to the practice’s appointment system and schedule a patient’s next office visit. Each practice also has a designated Local Care Director who is selected by the physician to act as an extension of the care coordination team. In addition to acting as the PCC’s primary practice liaison, the Local Care Director helps identify and engage any patients who may require care coordination services. 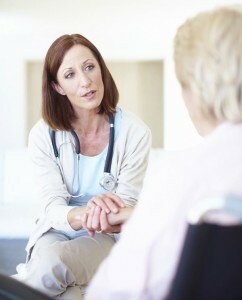 The PCC works directly with the primary care provider (PCP) to ensure that patient needs are addressed. The PCC serves as a conduit between the patient and the PCP, helping to obtain and funnel clinically relevant patient information, such as current medications, hospital and specialist records, and mental health status. The additional background information facilitates the care process and provides the PCP with a more comprehensive view of the patient’s situation. Care coordination is more effective when the patient remains motivated to maintain his or her own health.10 PCCs work closely with patients to provide the education and encouragement they need to achieve their healthcare goals. When patients embrace their care plan, providers are better suited to achieve the Triple Aim of improved care, lower costs, and increased patient satisfaction. Connecting with the patient’s family to request additional support if needed. If a patient’s family is unaware that their loved one is struggling and in need of assistance, Continuum’s care coordination team will reach out and encourage patient-designated family members to get involved in the care process. Targets are high-need, clinically high-risk or rising-risk patients. Focusing on clinically high-risk patients or those with rising risk provides the greatest opportunity to improve health outcomes and lower costs.11 Services are typically triggered by a payor-generated notice of admission, identification by the practice, or utilization based claims data. Clinically high-risk, high-need patients require at least 90 days of follow-up – well beyond the standard four to six weeks – to ensure they are fully educated and engaged in their care and any barriers to care are resolved. Includes patient education and engagement. Patients with chronic conditions need to play an active role in maintaining their health, so the transition plan should seek ways to educate, motivate, and empower the patient and/or caretaker to do so. The team should identify any barriers that might prevent a patient’s full engagement, including depression and other mental health disorders, and coordinate services as needed. Utilizes multi-disciplinary teams. Many patients face psychosocial and economic barriers to maintaining their health. Care teams should include a social worker and/or other professionals who have the skills to address non-clinical barriers to success. Employs data to drive quality improvement. 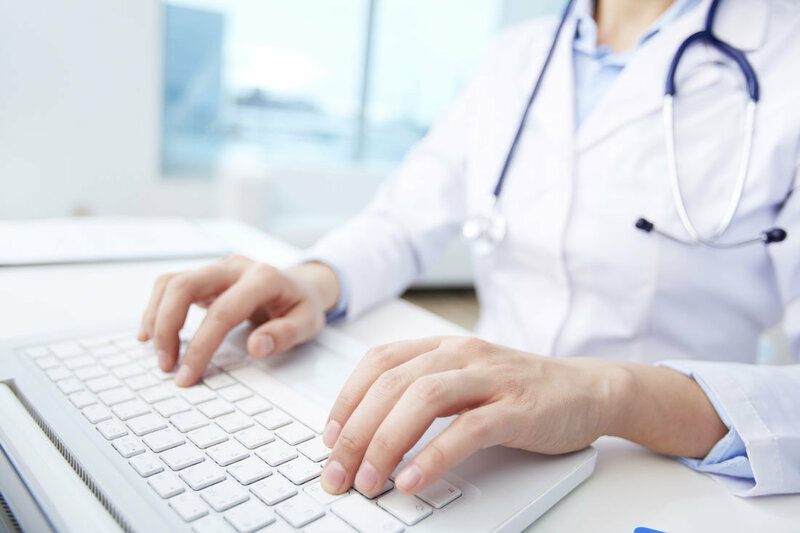 A population health management platform embedded in the patient’s electronic health record (EHR) is essential for care coordination. Care team members can refer to dashboards to identify gaps in a patient’s care or to prevent duplication of services. A population health platform can also be used to identify clinically high-risk or rising risk patient populations within a practice so that providers can initiate strategies to deliver the right care at the right time and place. In addition, providers can analyze their overall progress in meeting performance goals, such as improving quality and reducing the overall cost of care. Such data points are particularly important for practices participating in value-based reimbursement models. Scope of Service. Patients’ health maintenance needs are multi-faceted, often extending beyond one episode of transition. 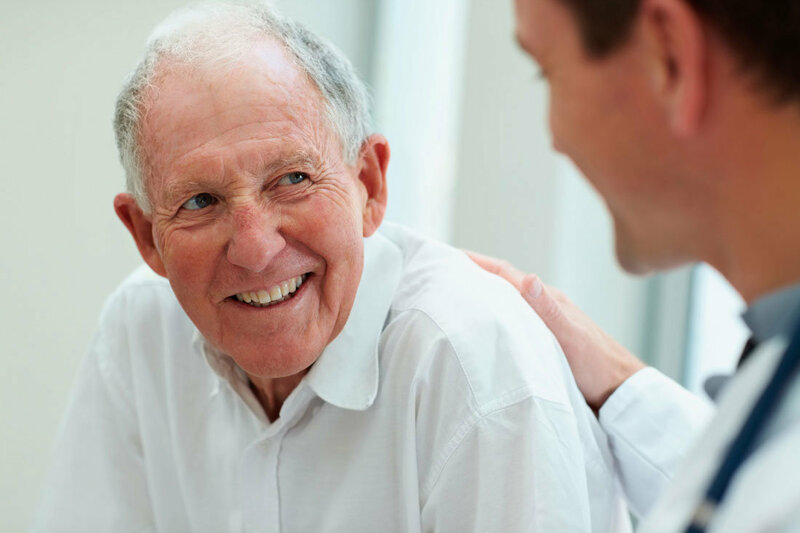 Continuum takes a broad approach that includes identifying the root cause of any problem and helping patients incorporate necessary changes into their lives. Medication Reconciliations. Many readmissions are due to mismanagement of medications. Continuum’s Centralized Care Coordination team takes a preventive approach by reviewing all medications within 24 hours of every transition and every specialist visit. This detailed process includes comparing the providers’ orders with the patient’s description of each medication and dosage instructions. If a discrepancy is found, the care team notifies the primary care provider, as well as the source of the error (e.g., the hospital or pharmacy). The care team medication review and physician-directed reconciliation process may also trigger a “super visit” as described below. Follow-Up Attendance. Though the majority of contact occurs via telephone, in-person contact is particularly effective and encouraged.17 During follow-up appointments, patients and caretakers often have difficulty absorbing all the information provided and sometimes fail to ask the right questions. Outcomes can often be improved if the PCC attends certain office visits. The PCC can facilitate the conversation as necessary and encourage the patient/caretaker to take an active role in the care process. Super Visits. The PCC may meet with the patient/caretaker 30 minutes prior to the scheduled appointment time. During these “super visits,” the PCC will typically review medications with the patient/caretaker and ask questions about the patient’s status and care routine. Though the patient may receive an hour of care, he is only billed for the physician’s 30-minute visit. Dual Focus. In many care coordination models, care is reactive and occurs after a patient has been hospitalized. 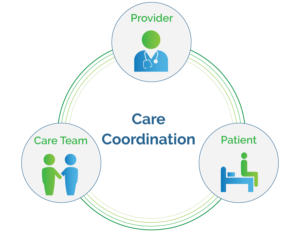 Because more proactive care coordination improves patient health and helps to reduce the overall cost of care, Continuum offers a dual approach that focuses on care coordination that is both patientcentered and population-centered. Continuum’s proactive, population-centered approach utilizes Continuum’s technology platform to target a particular population – such as patients with high blood pressure – and initiate the care process accordingly in order to prevent hospital admissions. The Bigger Picture. Care coordination is enhanced when a practice has access to an integrated population health management platform offering best-of-breed technology with data-driven processes and analytics. The platform should also provide the quality measurements and reporting capabilities that providers require when participating in value-based reimbursement programs. Mark, a newly diagnosed diabetic, wasn’t administering his insulin injections. Mark revealed that he couldn’t see the numbers on the syringe but was reluctant to tell anyone, so after consulting with the primary care provider, the care team arranged for Mark to obtain reading glasses. The hospital had arranged for Sara to receive visiting nurse services after her discharge. However, the nursing agency was unable to reach Sara because they were unaware that Sara was staying with her daughter and was unable to reach her. The social worker followed up with the agency and arranged for care at Sara’s daughter’s home. Anthony wasn’t filling his prescriptions. The PCC discovered that Anthony could OPU afford his medications. The PCC engaged the team’s social worker, who arranged for Anthony to receive prescription assistance. Results after 24 months of Continuum’s care coordination and related population-health services for a large primary-care practice. Financial incentives to top-performing physician practices were equal to 5-10% of revenue. 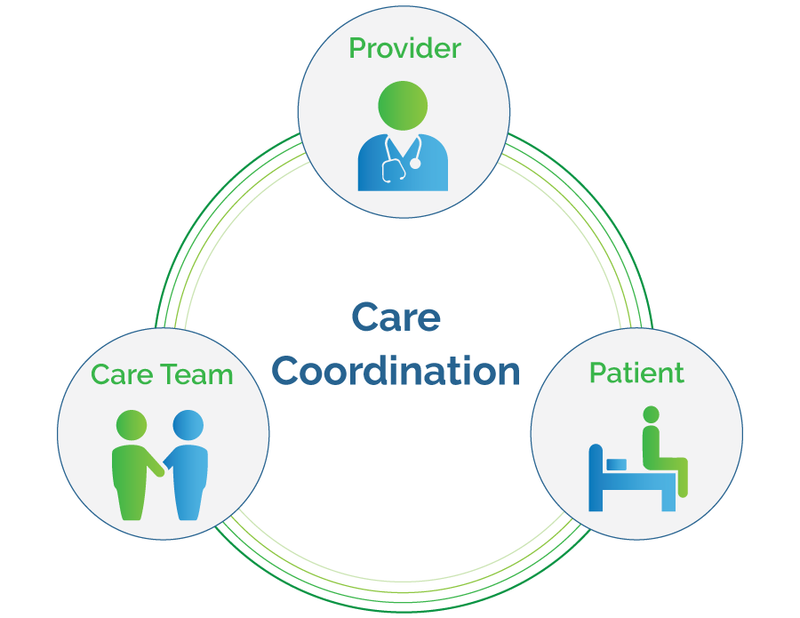 Care coordination is a logical and effective strategy for achieving the “Triple Aim” of improving care, reducing overall cost of care and increasing patient satisfaction. Well-coordinated care not only results in better health outcomes, it also helps practices participating in new value-based payment models meet their quality care and financial goals. While practices may attempt to delegate care coordination services internally, many will find it too expensive to recruit, train, and manage an experienced care team. Partnering with an outside provider of care coordination services allows physicians and patients to leverage the skills of a highly experienced team, while sharing the cost with other providers. Continuum Health is a physician enablement company based in Marlton, NJ providing a platform for practice management, population health management, and network development services. Continuum offers proven, strategic business and clinical solution empowering medical providers within physician groups, private practices, health systems, hospitals, and self-funded settings to enhance patient access and experience, improve quality and lower the overall cost of care. 1Pierson, and S. Applebaum, New 2011 Survey of Patients with Complex Care Needs in 11 Countries Finds That Care Is Often Poorly Coordinated, Health Affairs Web First, Nov. 9, 2011. 3The benefits cited by the American Nurses Association (AHA) apply to care coordination provided by nurses. “The Value of Nursing Care Coordination;” AHA, June 2012, p. 2. 9“The Value of Nursing Care Coordination;” American Nurses Association, June 2012, p. 8. 11Randall Brown, The Promise of Care Coordination: Models That Decrease Hospitalizations and Improve Outcomes for Medicare Beneficiaries with Chronic Illnesses (Princeton, NJ: National Coalition on Care Coordination, 2009), available online at http://www. nyam.org/social-work-leadership-institute/docs/ N3C-Promise-of-Care-Coordination.pdf. 15Continuum finds that a minimum of 90 days of follow-up is necessary to ensure success. See p. 5-6, “The Continuum Model,” under Length of Service.